High school senior Genesis Morales thought she knew what she wanted to do with her future, but after completing a special Turner-UCLA Allied Health internship this summer her plans changed direction. The Turner-UCLA Allied Health internship was created in early 2017 when philanthropists Lauren and Robert (Bobby) Turner partnered with UCLA to give students from underserved areas exposure to allied health careers and educate them about job opportunities after graduation from high school. The program also offers them support to get into training programs, including providing scholarships. UCLA teams up with the Los Angeles Unified School District and community organizations to recruit student interns. Morales was referred by her after-school organization, Heart of Los Angeles (HOLA), a non-profit that provides access for underserved children to leading organizations to help them plan for their futures. Allied health careers include diverse fields such as respiratory therapy, nutrition and phlebotomy, areas that often to not require a bachelor’s degree. The jobs account for nearly 60 percent of the health care workforce, so the positions are in high demand, offer good wages, health insurance and other benefits. Fourteen teens participated in the recent internship in July. 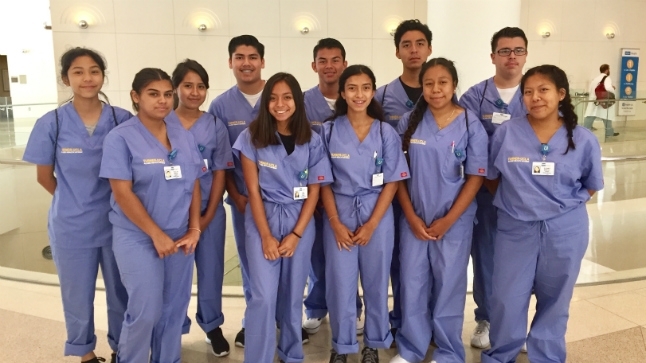 They spent a week living in a dorm on the UCLA campus, attending workshops and closely following allied health professionals in more than 10 departments at the Ronald Reagan UCLA Medical Center. The Turner-UCLA program was free to the students. 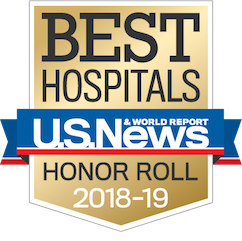 “The students can also volunteer at UCLA during the school year to further their learning about various careers,” said Dr. Carol Mangione, director of the David Geffen School of Medicine Community Engagement Group. For Jose Diaz, a high school junior, the internship opened his eyes to career paths he had not thought about. He appreciated learning what education and training were required for various jobs. Turner-UCLA organizers hope to expand the summer program to include up to 60 interns next year. Visit http www.medschool.ucla.edu/community-career-guide for more information.